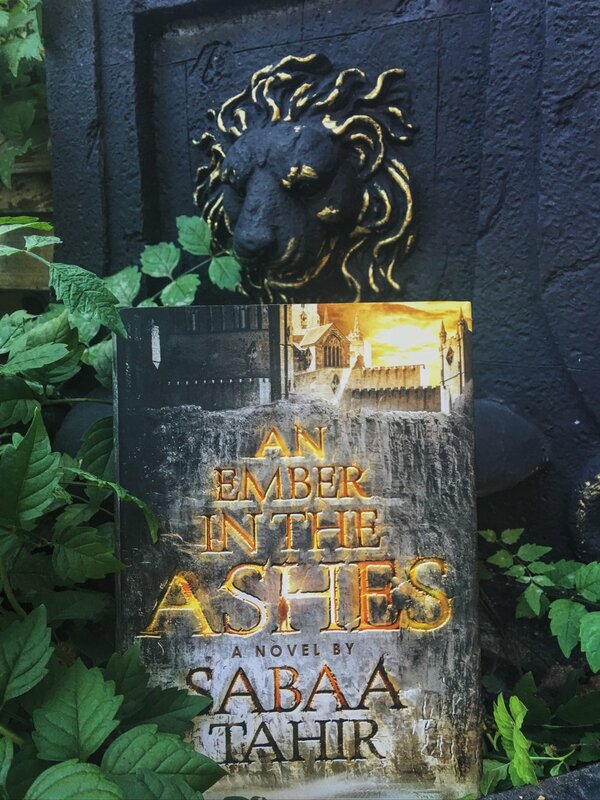 An Ember in the Ashes by Sabaa Tahir was an absolutely fantastic and captivating read and one that I would recommend to anyone. The fantasy book is about a girl name Laia, who is a Scholar and like all Scholars, a slave to the Empire. On one unfortunate night, her home is raided by the Empire, due to their suspicions towards her brother Darin. She manages to escape, but not before her brother gets arrested for treason and is taken away. Laia begins the daunting mission of rescuing her brother and seeks aid from the Resistance, a group of rebels who she’s not entirely sure are trustworthy. After striking a deal out of desperation to save her brother, Laia gets sent away to spy on one of the most dangerous people in the Empire, who also runs the academy that trains the strongest soldiers of the Empire, just like the ones who took Darin and the ones Laia has been running from. During her mission, Laia runs into Elias, one of the academy’s top soldiers who is nearing graduation and wants to leave the place just as much as Laia does. Elias wants to be free of the tortuous Empire and its ways of tyranny that he has been coached to enforce most of his life. However, a plot-twisting event in the Empire occurs that forces their lives to intertwine and together, they suddenly hold the power to change the fate of the Empire. I absolutely adored this storyline and the characters within it, the book provoked so much emotion and Sabaa Tahir is an incredibly talented author. I loved how we got to read the book through the perspective of both Elias and Laia because they have such vividly different lives and upbringings. The story branched in a lot of directions that I hadn’t expected and brought in these amazing mythical creatures that were hidden to the world of most characters and felt very hidden for me when they first appeared. The Empire and some of the characters in this book were absolutely vile. They were tortuous and abusive, sickening human beings yet they are written in a very compelling form and make you genuinely wonder what goes on in their heads. There was a character that I could say was practically pure evil, there was no humanity in them and I really enjoyed that about them because the way Tahir wrote them made it very different and refreshing. I definitely would say that Elias’ parts had a lot more action going on in them but Laia’s were just as enjoyable and interesting. There were parts throughout the book where I would get anxious for Laia while she’s spying and sneaking around and it constantly had me on the edge of my seat because I was aware what horrible things would happen if she were caught. The story contained a very gripping suspenseful and mysterious side of the story for both Elias and Laia between trying to seek trust or trying to figure out a prophecy because it often was the matter of life and death. Overall, I found that this book had fantastic world building, very intricate characters and a ton of action and survival. It was a breath of fresh air from a lot of typical YA novels and definitely a page turner.